I’m participating in the Kids Virtual Book Club this year. This month we are focusing on books by Kevin Henkes. 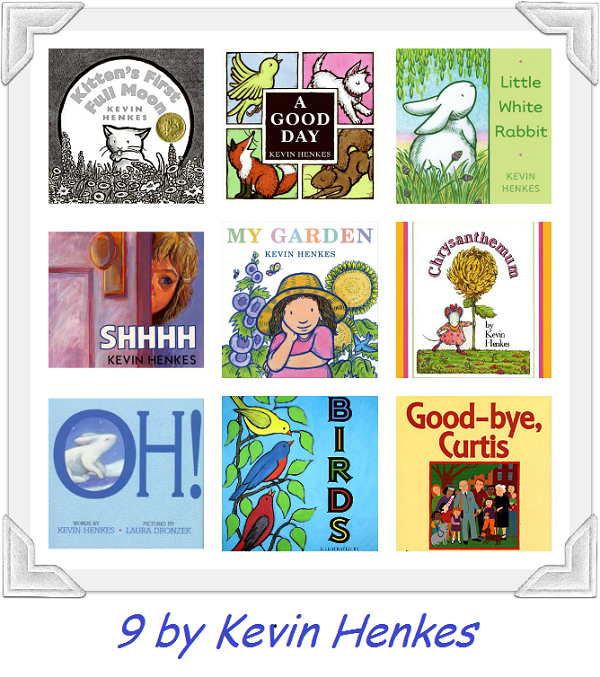 Henkes has books that appeal to children of all ages, from his board books for babies (including A Good Day) to preschoolers (including Kitten’s First Full Moon) to early elementary (including Chrysanthemum) to middle grades (including Olive’s Ocean). Check out the list below for some recommendations. I’ve included Amazon links here, but my local library had all of these picks (that’s how we read them). Pick your favorites, and then on August 20, participants in the Virtual Book Club (including me) will be sharing fun projects and activities focusing on Henkes’ work. I haven’t decided yet which book we’re doing, but I’m excited to get reading these books with my 2 little guys! The Kevin Henkes website also has a list of activities and discussion topics to go along with his books- check it out here.